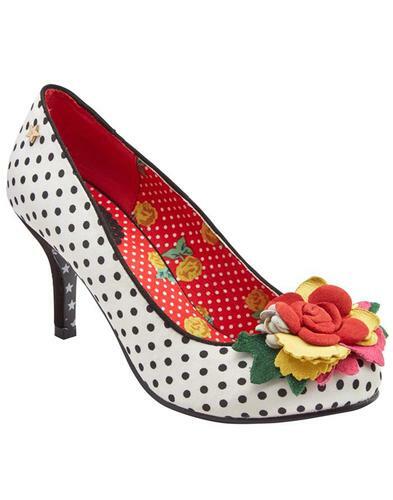 Hitched Joe Browns vintage bridal court shoes in ivory. Absolutely stunning Mary Jane silhouette revamped for the big day, Hitched feature a gorgeous embroidered ivory and silver upper that dazzles and delights and a satin scalloped toe and stiletto heel for a classy touch. 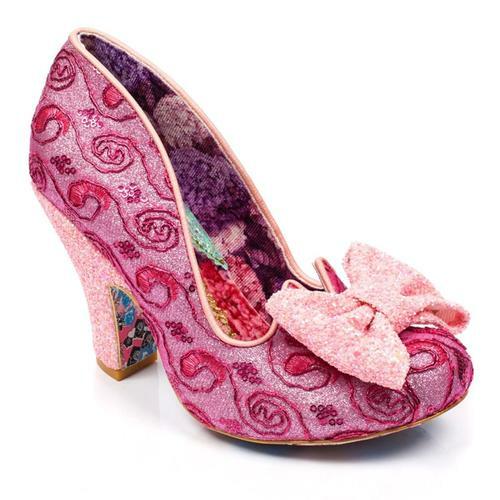 A stunning gem, pearl and netting flower corsage is placed delicately on the toe to complete this stand out shoe. 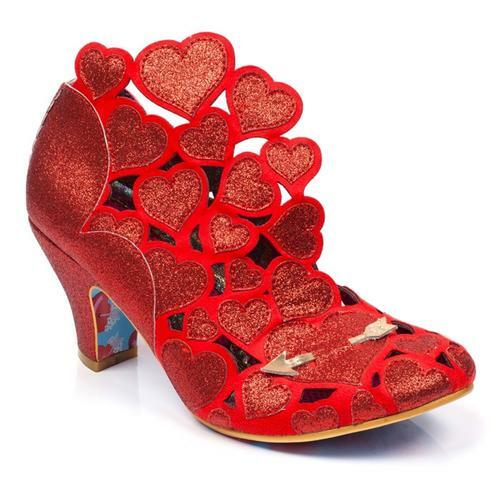 You'll also be able to dance the night away in comfort as these Joe Browns heels feature a decorative padded inner, so no more having to change shoes! 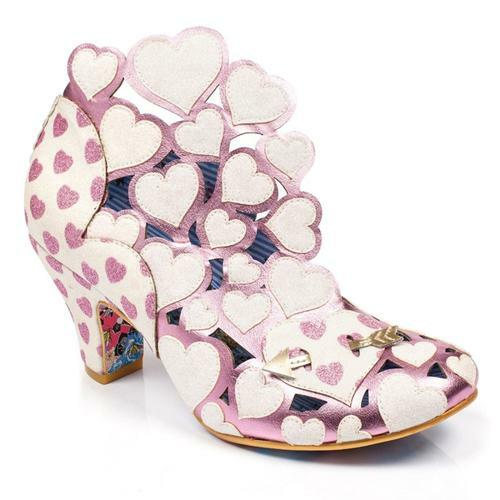 Perfect for the blushing bride wanting to dazzle her guests. 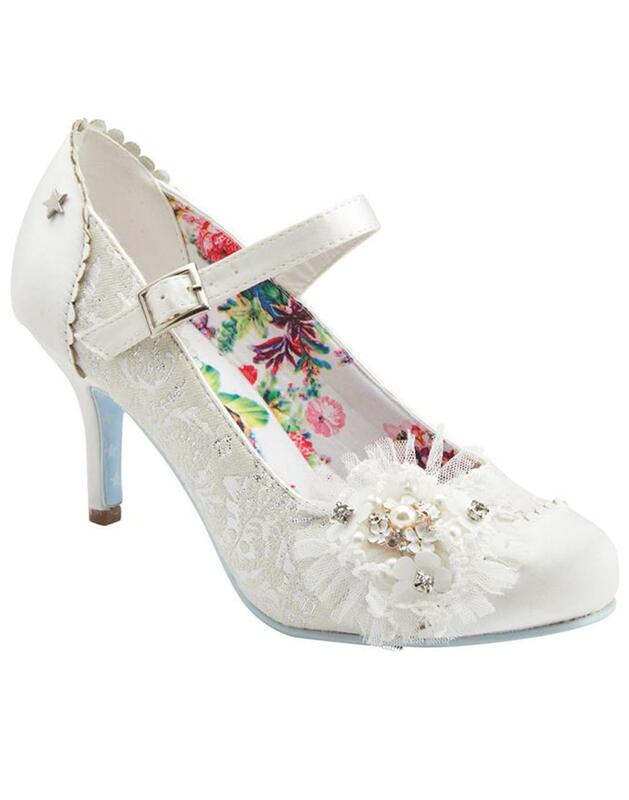 - Hitched Joe Browns vintage bridal court shoes in ivory. - Mary Jane silhouette with strap and silver buckle fastening. - Embroidered eye catching sparkling silver and ivory patterned upper. - Delicate and beautiful flower corsage guaranteed to add some glamour to your big day. - Satin scalloped heel and toe. - Embedded silver star for Joe Browns authenticity. - Baby blue star patterned sole.